What happens when the light and lovely classic cocktail The Bee’s Knees goes to the dark side? You get this – The Bee Smoker. 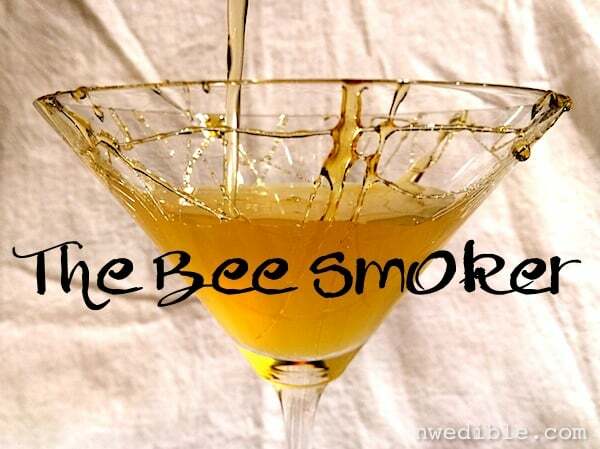 The Bee Smoker is a cocktail for big, peaty Islay Scotch lovers who want something a little more playful than a finger of Highland Park 25, or who are trying to nudge their life partners into the world of smoke and peat. This is smokey and just a little sweet in the same way your grandpa who smoked pipe tobacco inside was sweet because he’d hand you a toffee and tell you to go play outside so he could watch the news in peace. 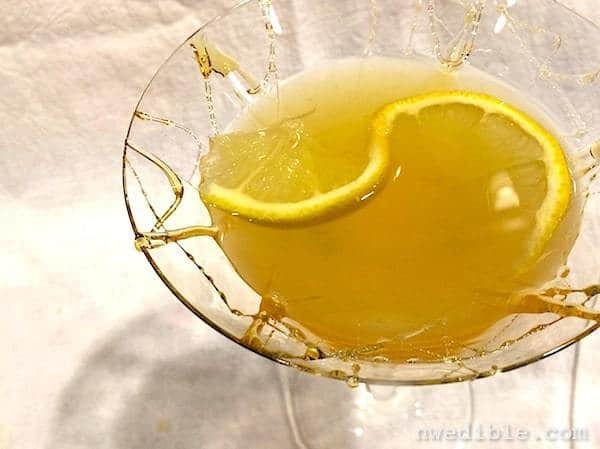 You will need a moderate priced smokey Scotch, fresh lemon and honey. Smokey Joe, a blended Islay, fits the bill nicely here. If you substitute a Canadian Whisky or similar you’ll lose the smoke quality that makes this drink so good (to me, at least). First, make a 1:1 simple syrup of equal parts honey and warm water and stir that together. Two tablespoons of each will make plenty of simple syrup for a round or two of drinks with friends. 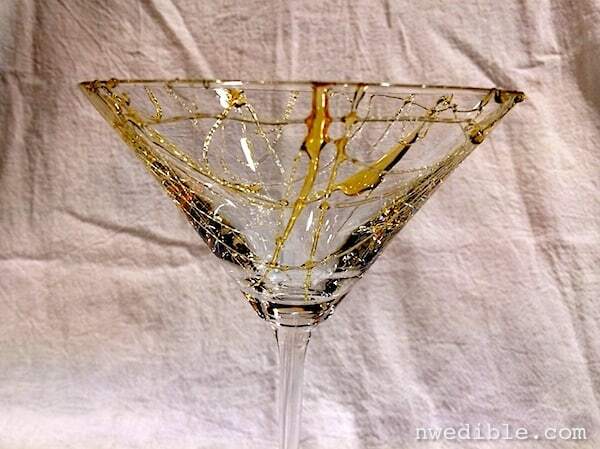 Shake hard with crushed ice and strain into reserved honey-decorated cocktail glass. Garnish with a slice of lemon if desired. Have a great weekend, guys! Cheers! 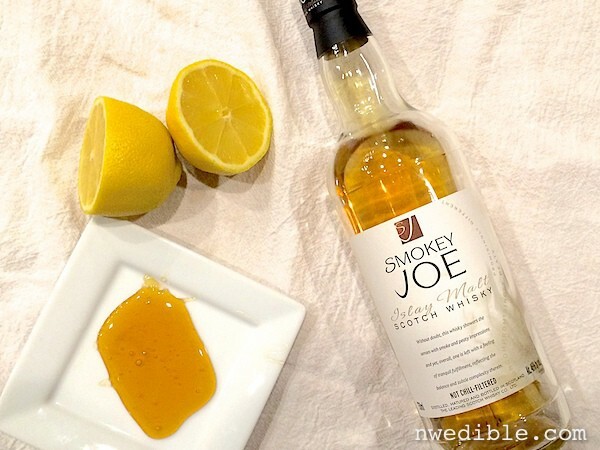 I don’t know about smokey whiskey but I loved reading about it! Umm….HELLO! You had me hooked as soon as I saw the name. I am so trying this! It looks beautiful and sounds yummy. I know this probably isn’t new, but you sure are a cutie, love your new profile photo! Just made this with a smokey Mezcal…great results! Thanks for the recipe!